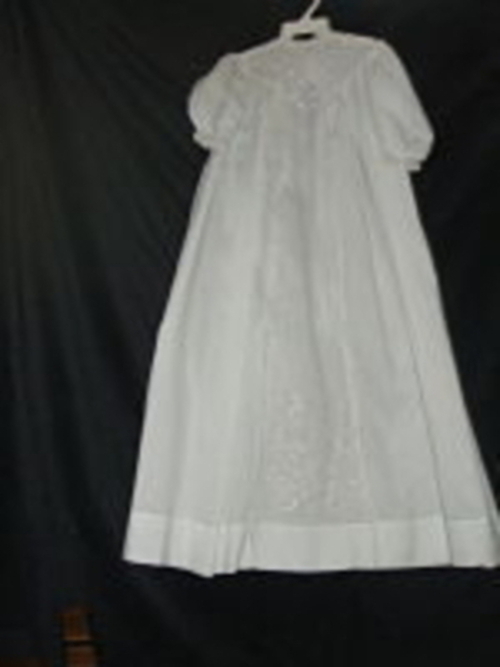 Little batiste gown wit white on white embroidery on the yoke forming a panel down the center of the dress to the hem. Shoulder to hem measures 34 inches. Sleeves measure 8 inches in length.